When it comes to developing and releasing software, application development teams know how complicated the process can be, primarily with the challenges of deployment infrastructures and projects that continue to grow in complexity. That’s where continuous integration, continuous delivery and continuous deployment come in. These practices and principles make it possible for development teams to not just deliver code frequently but reliably as well. So what exactly are these 3 main operating principles and how do they deliver on benefits? The practice of continuous integration involves developers consolidating changes as frequently as possible to the main branch. The validation of these changes is handled by developing a build that runs automated tests against itself. This way, integration issues stemming from waiting until release day to incorporate necessary changes into the release branch can be avoided. Continuous integration, therefore, places emphasis on automated testing, relying on it to confirm the health of the application when new commits are merged into the main branch. A prime benefit of continuous integration is that fewer bugs make it into production as the automated test make capturing regressions early possible. This also makes constructing the release easier as the integration issues have been tackled earlier on. Additionally, developers are required to do less context switching since they are alerted the moment they break the build and have the opportunity to fix it prior to moving on to another task. Reduced testing costs are another significant benefit of continuous integration and the server is able to process hundreds of tests in seconds. This makes it possible for QA to focus on applying improvements instead of spending so much of their time on testing. 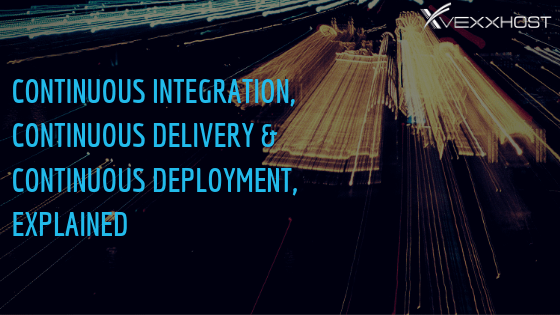 Continuous delivery acts as an extension of continuous integration. This practice ensures that updates are made available to users in a manner that is time sensitive and sustainable. Additionally, deployments can be made at any time as the release cycle as well as the testing has been automated. This means that releases can be scheduled daily, weekly or whenever works best for business requirements. Also, by deploying sooner, troubleshooting issues becomes easier as a result of the smaller batches. Considering that the team involved no longer has to prepare for releases, one of the benefits of continuous delivery is that much of the complexity surrounding the software deployment has been alleviated. Releases are also able to be made more often which empowers customers to deliver feedback quicker. Another benefit is that teams are encouraged to iterate faster as the pressure around deciding on small changes is lessened. This practice takes that of continuous delivery and builds on it. With continuous deployment, any change made that successfully passes each production line stage will be released to users. This means that the only way a change won’t be deployed is through failing a test as there is also no human intervention. Additionally, since continuous deployment removes the need for a release date, it can relieve teams of some of the pressure while simplifying the feedback process with customers. Continuous deployment ultimately enables developers to prioritize the building of software and encourages them as they are able to see their work go live shortly after they’ve completed their work on it. One of the benefits stemming from this practice is that without pausing for releases, the development process is significantly quicker. The deployment pipelines are also automatically triggered for each change. Another benefit is that through the small batch deployment method, the risk involved in each release is reduced in addition to being easier to fix should an issue arise. This benefits customers as well as they are able to view the improvements and heightened quality on a daily basis as opposed to waiting months. With VEXXHOST’s offering being powered by OpenStack, we ‘re able to leverage their CI/CD platform to the benefit of our clients. In fact, our CEO, Mohammed Naser, gave an update on OpenStack’s Ansible project as the PTL during the summit in Berlin and has given demonstrations with other community members on Zuul. Contact us for more information on how VEXXHOST can help you optimize your pipeline!